What’s his is mine and vice versa when we get married, right? Well, yes, quite literally, actually. And whilst I don’t want to rain on the ‘ooh it’s all so lovely’ aspect of the wedding preparations, if you have not considered the antenuptial contract because it feels a little contrived and ruthless right now, you might want to reconsider. 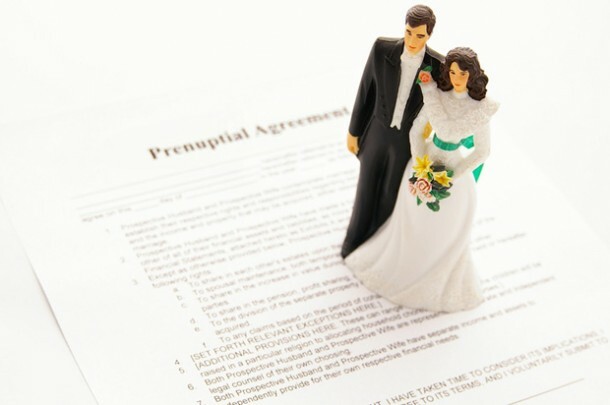 In South Africa if you and your fiancé do not draw up an antenuptial agreement before the big day, then your marriage is automatically regarded as ‘in community of property’. In black and white, the state will assume that you share all assets and liabilities. An antenuptial contract or ANC means that you are married out of community of property. There are two types of antenuptial contracts – with or without accrual. Accrual is a system that protects the partner in the marriage who earns less because they either work part-time, or remain at home, usually to mind children. ANC without accrual means that each of your assets, whether acquired before or during the marriage, remain separate throughout the marriage. What’s yours is yours and what’s mine is mine, basically. Assets are not shared and each partner has a separate estate. ANC with accrual is where you make a note of each of your assets before marriage. Thereafter everything you acquire is shared 50/50. You can also state that certain assets be excluded from the accrual, like inheritances etc. The ANC without accrual is worthwhile if you earn equally and one of you is likely to become insolvent, for instance you are in your own business. In this way, creditors will not be able to run off with the partner’s assets. Each of you is still obliged to financially support the other, should one of you no longer have earning potential. The pros of an ANC with accrual are many. You share one another’s wealth, you have independent financial affairs, if one of you is in debt it cannot be claimed from the estate of the other, if you get divorced any assets whilst married are shared.